Kestle Barton is an ancient Cornish farmstead situated above the Helford River. Following an award-winning conservation project, most of the barns and old farmhouse have been converted into stylish and comfortable holiday accommodation. One further barn has become an elegant gallery, which opened in 2010. 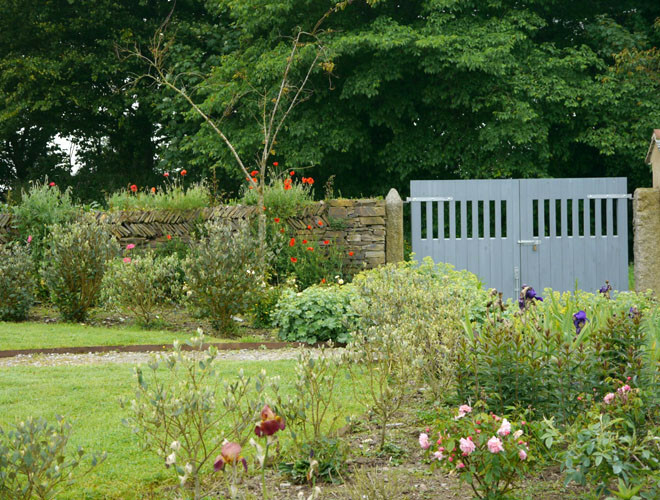 Profits from holiday rentals go to the Kestle Barton Trust, which funds the exhibition programme and a range of events that stretch beyond the gallery walls into the beautiful garden in the old south-facing Mowhay, the wild-flower meadow, and landscape around. The gallery presents a season of four exhibitions each year, opening in late March and closing in October. The annual programme comprises exhibitions and projects by artists based in or strongly connected with the area and also features exhibitions by celebrated and internationally known artists whose work has particular resonance in Cornwall.